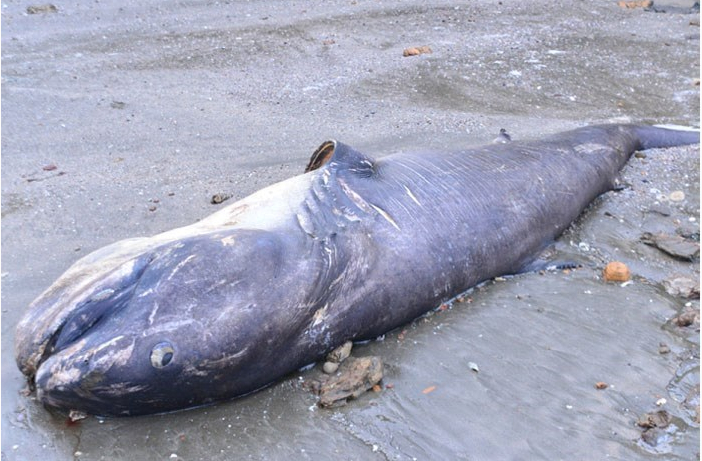 A megamouth shark was found dead, lying on the shore in central Vietnam, in Nghe An, on Tuesday morning. It was uninjured and the fishermen who found it estimated that it had died only a few hours before. The five metre long animal is thought to have become stranded on a shoal at low tide. The megamouth shark is the smallest of the three filter feeding species of sharks. It is a deep water shark, and is found very rarely. A full list, with photographs and history, can be found at http://sharkmans-world.eu/mega.html.